"We're all out of Paunch Burger here, but Michelle Wie will keep you company while I finish my shower." Lush has always been the sort of store that takes my breath away. What can I say, I'm a sensitive nelly and Lush's earth-friendly scents aren't always pleasing to my nose. But if you can get beyond the ephemeral burst of perfume like I did, you'll soon be able to enjoy Lush's passionate and knowledgable staff and all they have to offer. Back in September, Lush invited a few Melbourne-based beauty and lifestyle bloggers as a way to introduce their brand to us. 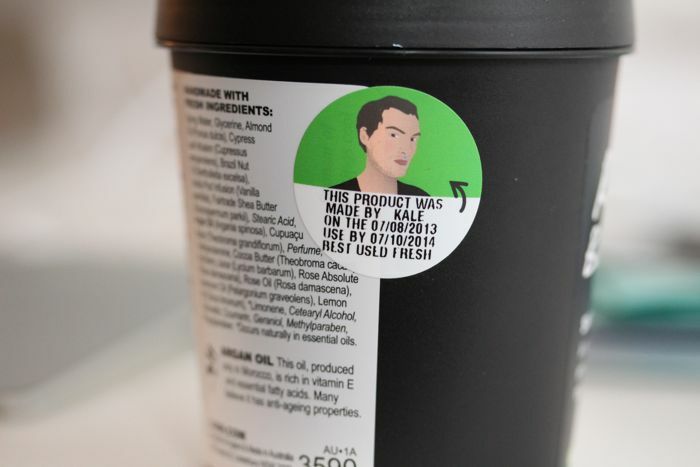 Lush uses word of mouth to spread their message -- by having us as their captive audience, they were able to get their product into our hands as a way to let our own user experience do the talking. 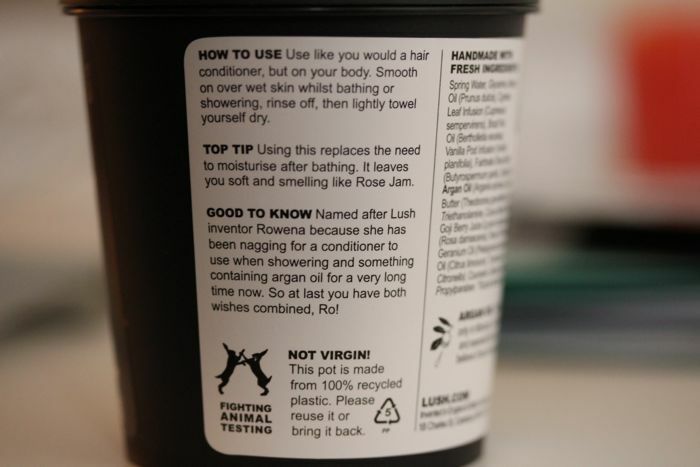 I tip my hats off to you Lush, because I don't think I would've fallen for Ro's Argan Body Conditioner. Where's a spoon when you need one? Kale made a top-notch batch! Early morning Nicole appreciates Ro's Argan Body Conditioner for its ability to expedite my somewhat cumbersome morning routine. 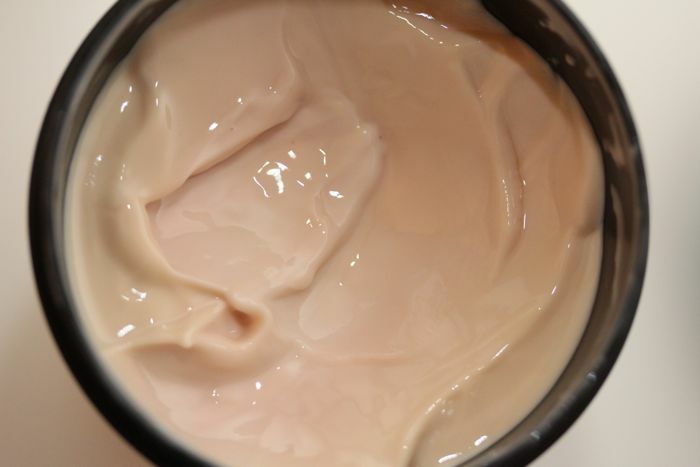 Some days after washing up with my shower gel, I like to spread on a small dollop of Ro's Argan Body Conditioner and let it soak in for a solid minute. Just before turning the shower off, I'll rinse off and pat myself dry. My skin is left feeling soft and that softness is matched by the subtlest hint of powdery, almost buttered rose. With repeated use I have noticed its not enough to keep my skin properly hydrated. For the time being I'll have to pair Ro with my old standby or Sympathy for the Skin (that stuff smells like cookies and cream ice cream, mmmm). Side note: when I workout the scent is heightened upon sweating. It made doing push-up slightly bearable. Bonus? 10 out of 10 bags — one word, addictive.